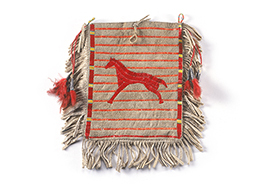 Native Arts & the Horses | A Song for the Horse Nation - October 29, 2011 through January 7, 2013 - The National Museum of the American Indian - Washington, D.C. When a tribe acquired horses, the status of women improved. Horses helped lighten the work load, and women gained more time for creating art and social involvement. 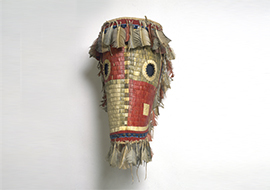 Women’s arts, such as beadwork and ornamenting hides with porcupine quills, flourished. Among various Plains tribes, quillwork was the province of quillwork guilds. If a woman wanted to learn the skill, she made an offering to a member of the guild. If her offering was accepted, she would be taught the art and allowed to work as an apprentice. Besides being instructional, the guilds were also religious in nature. To become a member of a quillwork guild was to assume a station of respect and power. 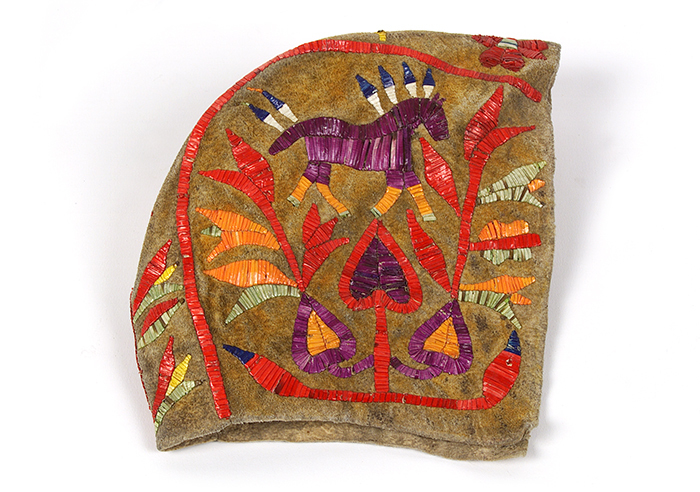 Dyed porcupine quills were used to create this lively horse. Plains artists depict horses in all media, from paint, beadwork, and quills to carvings in wood and stone. 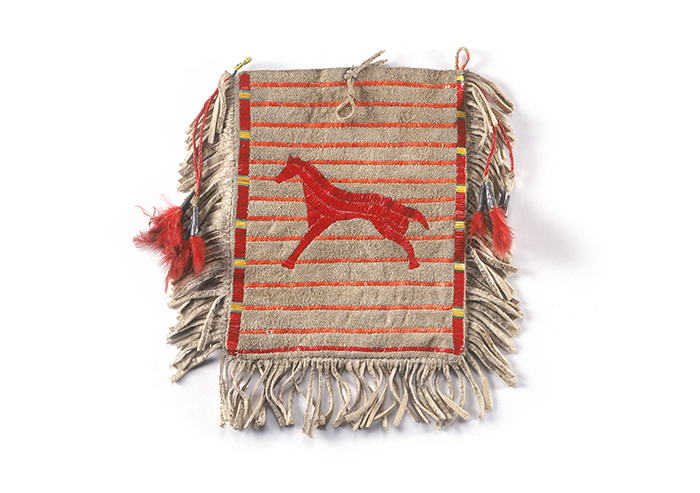 Plains tribes decorated their horses from bridle to tail. 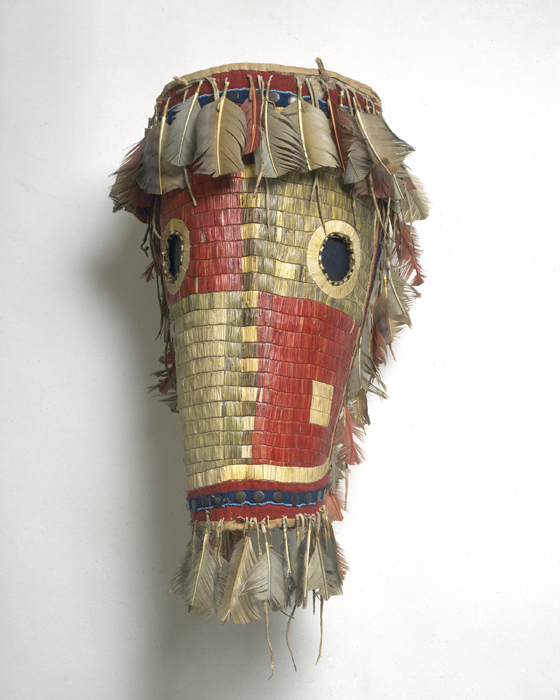 Because they limited a horse’s range of vision, masks were usually used only for parades, not for battle.